फिलहाल मैं मध्य प्रदेश के रीवा शहर में हूँ जहां मुझे काम करने में बड़ा आनंद आ रहा है.आज ही यहाँ तीन दिन का सफ़र पूरा हुआ है. राजस्थानी कला को मध्य प्रदेश में बहुत प्यार मिला है,ख़ास तौर पर यहाँ के विद्यार्थियों की मेहनत को देखकर मैं बहुत आनंद अनुभव कर रहा हूँ. Spicmacay Rewa starts with a new zeal. 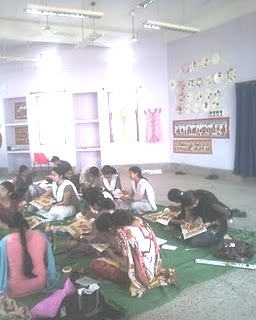 On 27th May 2010, we have just started a workshop of Fad Painting at Rewa. The workshop will be ended up on 29th May 2010. The venue is esteemed Department of Business Administration, in Awadhesh Pratap University, Rewa MP. 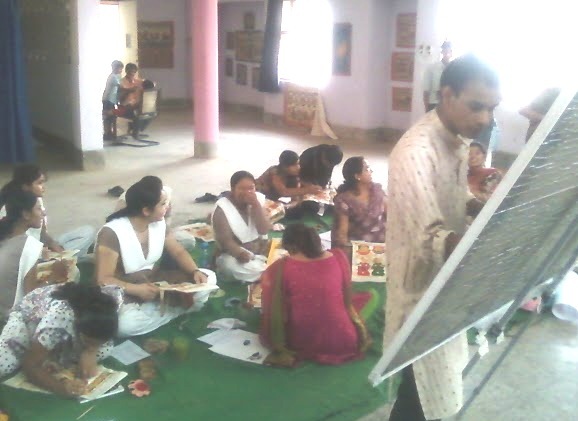 The Guru who is taking proceedings of workshop is reknown Painting artist Pandit Satya Narayan Joshi from Chittaudgarh, Rajsthan alongwith his son and pupil Dilip Joshi. Pt. S.N. 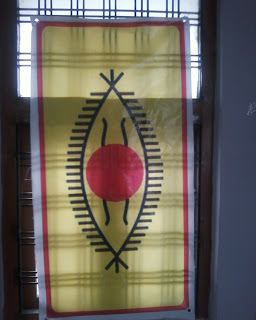 Joshi is an awarded artist in painting genre of art. The old group of Spicmacayites of Rewa is taking on the action of this workshop which includes Ex-State Coordinator of MP, Rajiv Tripathi alongwith Rajkumar Verma. The supporting team is comprised of Rakesh Tiwari, Anjna Dubey, Mamta Manshani, Tara Tripathi, Abhishek tripathi, Sunil Sharma, Amit Shrivastav and many more. The inaugural ceremony in short n sweet format as usual as Spicmacay charecteristic, has been done by Prof. Suhasini Sathe, Dean of Art Faculty of APS University, by presenting flower buckeye to Pt. Joshi , alongwith Prof. Rajiv Dubey, In-charge head of the department. The small conversation regarding Spicmacay and the current activity has been made by Abhishek tripathi. At the end of the day one session, hon'ble Vice Chancellor of the University, Prof. S.N. Yadav made a glorious presence to the venue and discussed regarding the workshop and art form.The Exhibition of the painting of the same artist will be commencing from 28th May to 29th May 2010, till the end off this workshop. 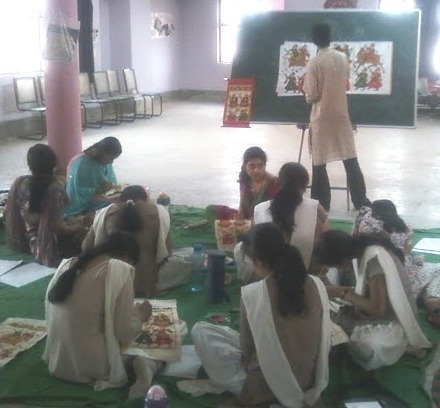 As you know the workshop on fad Painting by Pandit Satyanarayan Joshi is going on since 27th May2010 at Department of Business Administration, AP University, Rewa. The day 28th May, as supposed, was good in respect of proceedings. Many people came to see the Exhibition of paintings too. The workshop is going superb. Here are some pics from venue. मैं इस अवसर पर स्पिक मैके का आभारी हूँ.